Hey Everyone, Thanks for your Feedback and Support! When we started development, we aimed to create a game that would be enjoyable for both players and spectators, of all ages and skill level. This lead us to create the titular mechanic the 'JOLT'. The JOLT's versatility allows it to work iteratively across multiple game modes. Our current game modes include Racer, which is the standard mode you've seen in most of the video, The Light Racer (As above), a game mode where the levels become dark and the player in first position has a light attached to them. 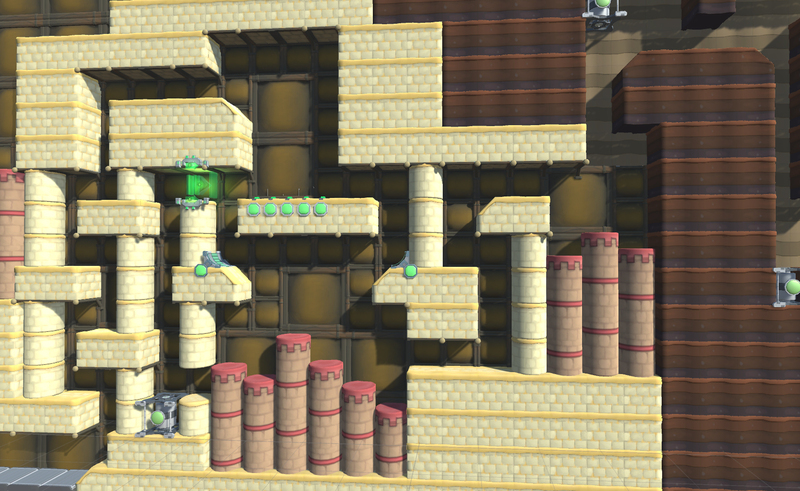 From the Image above, you can see how the same section of a level can be so drastically different in the dark. 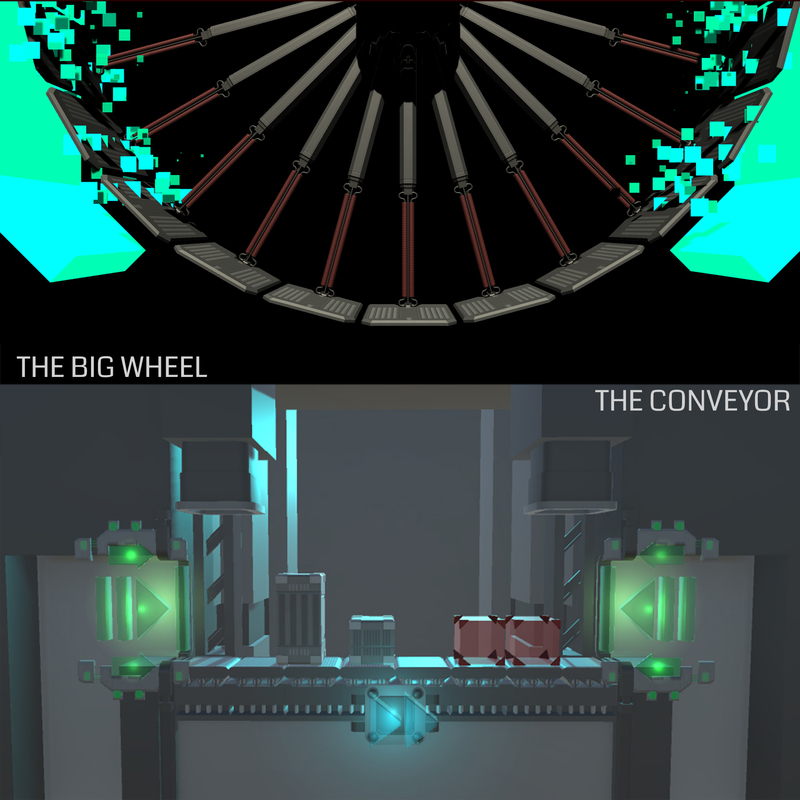 Lastly, are the Eliminator Modes - The Big Wheel and The Conveyor (Image below). In the Eliminator modes, the game changes from a race to an endurance test, where the winner is the player who can survive the longest. We’ll be updating the page with more announcements of VOID Powers, Game Modes and Levels soon! Here's a sneak peak to wet your appetite! JOLT – A charged burst of speed that can effect certain objects. VOID – Sabotage Power-Ups from post-elimination. We want to bring players a fast paced, racing platformer; that’s simple premise and controls, but complex in execution, especially with players changing the level on the fly. This is a game that can be played and enjoyed by anybody at the core. But only mastered by the most skillful, who are able to use momentum and the Jolt, in tandem. Follow us on Twitter: @jolt_game to keep up with the latest in the development! JOLT is a fast paced, racing party game. The game at its core is a competitive platformer that’s all about maintaining momentum with skilful navigation. The players compete to be the last robot standing. Using a charged burst of speed called the JOLT, and an array of different objects in the environment; your goal is to outperform or outright sabotage the other racers. Eliminated players are down but not out through the use of the VOID, a random Sabotage Power-Up that allows players to initiate revenge and change the outcome of the race! 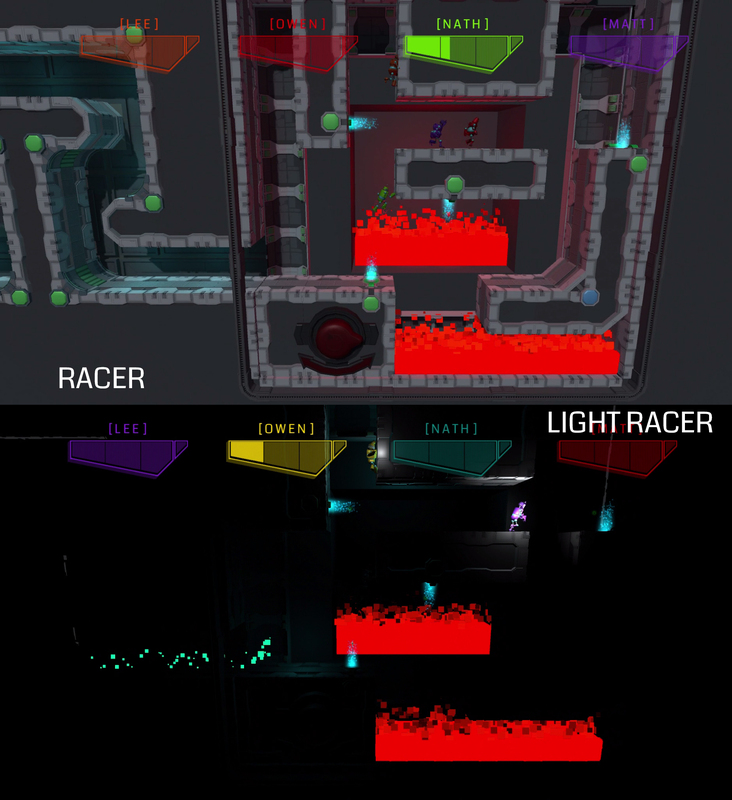 The game features multiple Game Modes; Racer is the standard and most game modes are based off this, such as Light Mode (where the level is dark and the leading player has a light attached to them) and Bomb Mode (Where a player is assigned a bomb and the only way to remove it is to pass it to another player). I'm an assistant famous blogger and would like to offer you cooperation. Thanks for all of the feedback and votes! We know there are a number of other games which focus around a platforming party genre. But we feel with our game modes, along with the Jolt and Void mechanics; we are able to offer a different experience for you to enjoy, as well. We will be adding more screenshots and videos to help explain these in more detail! It might be a good idea to provide an explanation on how your game is different from Speedrunners, to make sure consumers do not think they are merely copies of each other? JOLT: Super Robot Racer has been Greenlit and is now listed in the Steam store. For the latest information, purchase options, and discussions for JOLT: Super Robot Racer, please see it on the Steam Store or in the Steam Community.